Are you in need of extensive dental treatment? There’s a way to save time, money, and look fabulous. How? The secret is our approach to comprehensive dentistry in Bellevue. What we’re referring to is Quadrant Dentistry. You’re busy and it can be difficult to see us for multiple appointments. With quadrant dentistry, our dentists work in sections to get your major dental work done in one appointment. 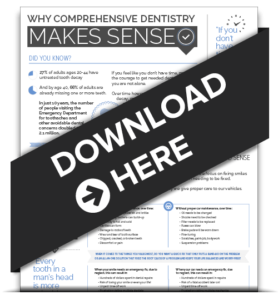 You don’t need to worry about returning for multiple appointments to focus on one tooth at a time. In turn, you take less time off from work and spend more time with your family. 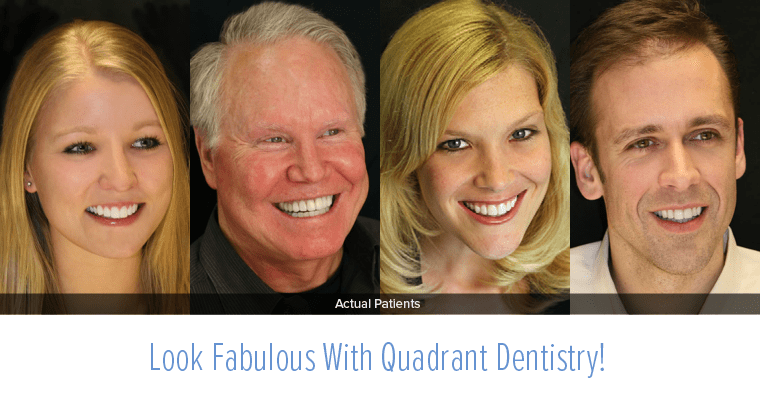 Quadrant dentistry is especially useful for anxious patients who embrace fewer appointments and fewer injections. Getting all of your dentistry completed at once will prevent future (and expensive) dental problems. If we’re working on quadrants (or adjacent teeth) of your smile, our Bellevue dentists can prepare your teeth efficiently. This limits damage to your gums, and your smile will be easier to clean and maintain. In turn, you’ll have a healthier mouth and won’t need extensive dentistry in the future. Have you been hiding your smile? Having a healthy smile complements your facial features and makes you look youthful and attractive. Thanks to this comprehensive dentistry approach, you can smile more confidently faster because all of our restorative services focus on function AND beauty. See it for yourself! Take a look at our Smile Gallery and see how we’ve transformed our patients’ lives. We believe in taking a comprehensive approach at our Bellevue dental office. That means looking at the whole you – not just your teeth. By taking care of your smile in quadrants, your oral and overall health will thrive and benefit you in the long run. We believe getting more done for your smile at once will benefit your oral and overall health in the long run. Call our office today at 425-643-2818 to schedule your comprehensive smile consultation and be sure to ask about quadrant dentistry. The approach is really is useful to the patients who have multiple tooth problems. It really saves time , money , energy and get relaxed of dental pains. Reducing the appointments and sections is great idea. Thankful quadrant dentistry.